Abstract: The future of Buddhism lies in Sangha education. Facing the new era’s demands on Sangha education, the wits, monastics and the laity included, show their sensitivity and give acute responses. The writer agrees to the general notion of Sangha education——“integration of learning and practice”. 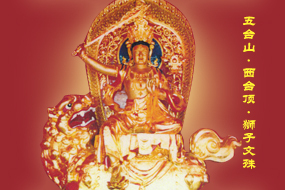 According to the teachings given in the Tripitaka on the progressive order of triple-learnings of “precepts, contemplation and wisdom”, precepts is given significant emphasis as the corner stone of Sangha education. Then, the writer’s over 20 years’ practice in nuns’ Sangha education and the construction of the “Three Plus One Sangha Education Project” is introduced. Lastly, based on the reality of Sangha education, the writer’s own viewpoints are illustrated on “teachings without discrimination”, and “enterprise participation” etc. in an order to provide a concrete case for current explorations into Sangha education. Over two thousand and five hundred years ago, with twists and turns, Buddhism spread to the East from India, which is far, far away from China. 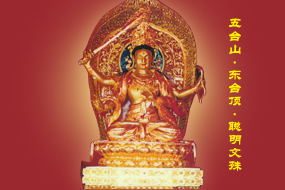 Over the years of historical development, Buddhism has experienced harsh tests and changes of prosperity and failures, great calamities and broad space of survival. Upon entry into the 21st century, global social issues have imposed new demands on Buddhism. Facing the uncommon opportunities of advancement and the fierce challenges of current situations, both subjective and objective ones, a good many wits, both Buddhist monastics and the laity, have pondered in depth on a series of issues ranging from the responsibility, future orientation of Buddhism, especially Sangha education system and its goals and position, and a good number of plans full of creativity have been proposed, from which the writer got much encouragement and inspirations. In this paper, the writer’s understandings and over twenty years experience in nuns’ Sangha education career will be presented for the audience’s guidance. A majority of either Buddhists or Buddhist researchers agree to the basic notion of Buddhist education——“integration of learning and practice; Buddhist students follow monastics’ lifestyle” proposed by Zhao Puchu, former Chairman of China Buddhist Association in 1992at the conference of “Chinese National Buddhist Education Symposium”. This notion has been endorsed and carried out in our practice. Based on the reality of nuns’ Sangha education, the writer holds that to implement the notion of “integration of learning and practice”, the advantages and disadvantages of the present Sangha education model must be reassessed, taking into account our expectation and the characteristics of the new generation of Sangha group before making a prudent choice of education model. 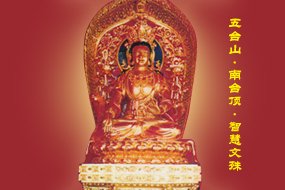 Drawing on venerable masters’ brilliant remarks on Sangha education, recalling the contribution by last generation made to Buddhist education, taking into consideration the specialists and scholars’ excellent comments, over the past twenty years, we have made a tentative general framework for nuns’ education at Pushou Temple, Mount. Wutai——“Three Plus One Sangha Education Project”. Here, the “three” refers respectively to three organizations：Pushou Temple, Mount. 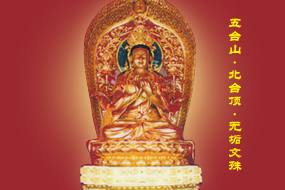 Wutai—— monastery for practice; Mahayana Temple, monastery for Sangha education; and Bodhi Compassion Association (BCA), managing organization of charitable careers. The “one” here refers to the charitable career——Qingtai Anyang Garden (a rest home undertaken by BCA aiming to assist the single, widowed, aged and other disadvantaged people). 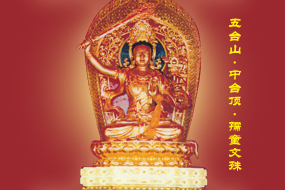 To carry out the integration of learning and practice, we attempt to build Pushou Temple into a college-style temple, while Mahayana Temple, a temple-style college; and Bodhi Compassion Association, a broad platform for communication between the four groups of Buddhist disciples of both monastics and the laity; and Qingtai Anyang Garden, a field to cultivate Buddhist students’ renunciation and compassion. Before entry into nirvana, the Buddha exhorted the disciples, “After I enter nirvana, you should observe prātimoka. It is your teacher, the same as when I am alive”. This is the sacred teaching of “with vinaya as the teacher” given by the Buddha Himself. “Precepts as the foundation of three ways of purity” is expounded by venerable master Xuyun as follows: “If the evil wrong doings of three karmas are forbidden, one’s mind-water clears up. That is, precepts produce contemplation. If the mind-water is clear, it illuminates all phenomena, and thus, contemplation brings about wisdom.” (P142, A Chronicle of Venerable Master Xuyun). The key role precepts play in practice of three ways of purity is emphasized in many sutras of both Mahayana and Hinayana Tripitaka as well as teachings of venerable masters. All true sons of the Buddha should take it seriously. © 2014-2016 五台山佛教协会 All rights reserved.